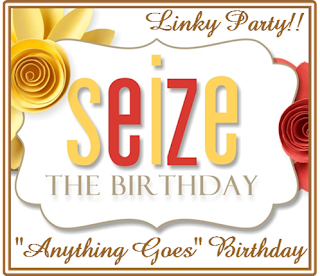 Hey all, I am up with my final post with Seize the Birthday as my Guest Designer, I want to thank the STB team for extending their invitation to me to join as a Guest Designer for January and February. I had fun creating my cards for these 2 months! The toppings for this challenge is inlaid die cut, you are free to join in with the Anything Goes theme as well. For my card today, I was inspired by the picture I clicked during my recent trip to Japan. 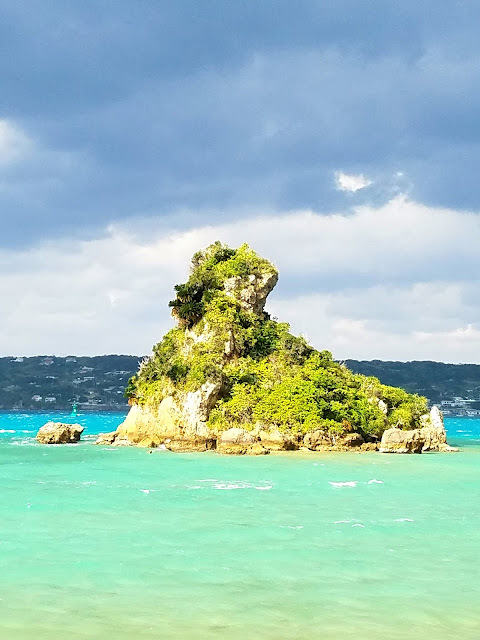 The colors of the sea was magnificent, and I was really hooked by it. I love the Ombre shades of the water, and didn't had to look further for inspiration for my card. Here is the picture of the water I clicked on last Friday. For my card, I used winnie&walter stencil, cutaway die and stamp. The inks are 3 shades from Stampin Up, and one shade of distress ink. I started with masking the front, and then added the stencil on top. Just sponged the inks in an Ombre shade, starting from the dark on top to the lightest on the bottom. I love the perfect gradient look of the stencil. I then used the die to cut out the middle section, and used another left over water color panel die cut to add the inlaid, also adding the front to a white base. Stamped the birthday under the inlaid die. A few matching sequins to finish off. Hope you all like it. Your background is gorgeous! Love the multicoloured happy as well. 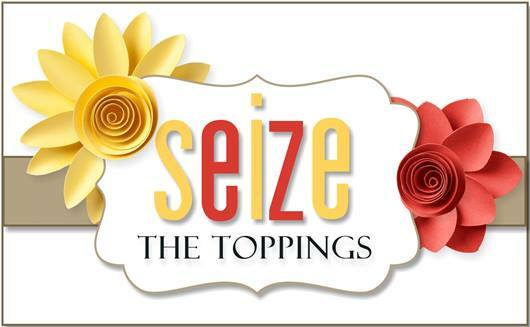 So happy to have you playing along with us at Seize the Birthday. 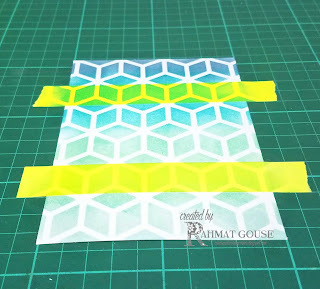 loved the stenciled ombre bg a lot ! This is beautiful. Love how you did the background and diecuts. Glad you have you as our Guest Designer at Seize the Birthday. Wonderful inspiration and a gorgeous card! 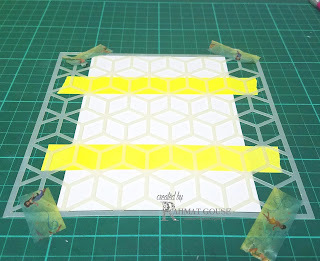 I love the background you've created with the stencil and the colors on the die cut are superb! Love the background and the Photo! So pretty!! Your card came together perfectly! It's been a real pleasure having you with us at STB! Take care! Gorgeous inking Rahmat and what a super creation - love the way you photographed it too! A great mix of stenciling and inlaid die cutting Rahmat. Rahmat, wow, what an inspiration photo! Love the shades of the blue and you captured them perfectly with your amazing background. Great technique and great ombre background. I really like this card. 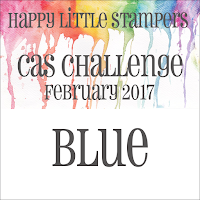 Thank you for sharing with us for Happy Little Stampers. Love the stencil background! 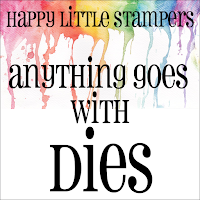 Thanks for sharing at Happy Little Stampers...so happy you joined us! It can be a great masculine birthday card! 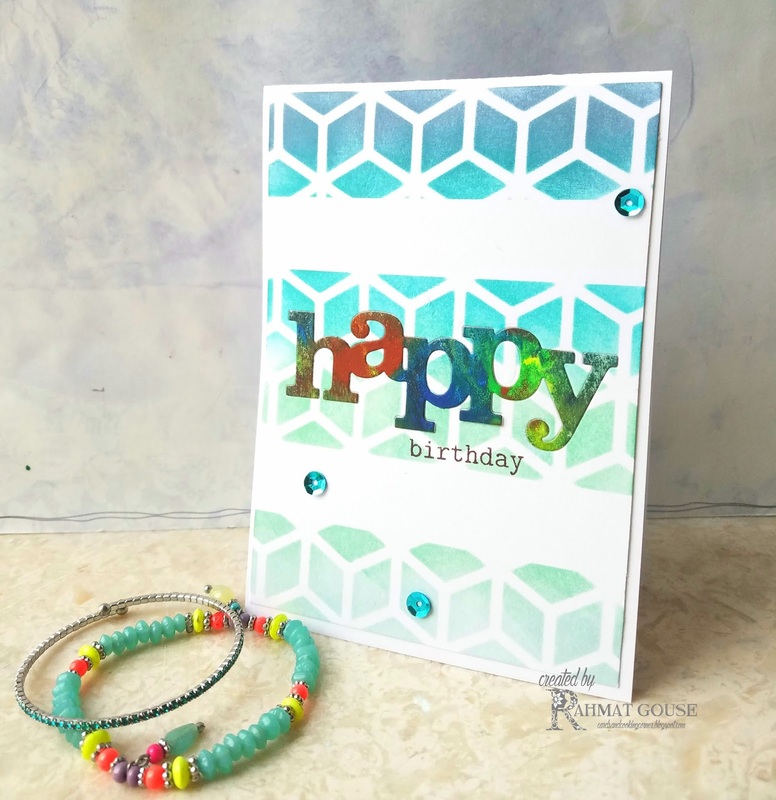 Love the background and colorful sentiment die cut! such a fun card! thanks for joining us at ATSM! This is so clever! Thank you for joining my Winnie & Walter challenge!